This part continues where the first part left off. 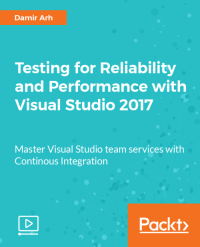 It covers integration testing, profiling and load testing with Visual Studio 2017, including its integration with Visual Studio Team Services where it makes sense. Check my dedicated page for the course to learn more about the contents. The video is a thorough overview of Visual Studio 2017 functionalities, which can be used in advanced software quality assurance scenarios. Its greatest value is in working usage examples that are set up step by step and should be easy enough to repeat on your own. Be warned though that many of presented features are only available in Visual Studio Enterprise edition.